It’s no secret to any Apple enthusiast that the next-generation iPhone is right around the corner, as evidenced by the many reports that have surfaced over the last few months. If the next iPhone is indeed scheduled to be announced next month, as most sources predict, it must have entered mass production by now. If these leaked pictures are any indicator, it already has. Like most major electronics companies, Apple doesn’t make its own hardware and instead hires third-party companies, generally with huge manufacturing operations in China, to assemble their products. While this model helps Apple reduce costs and focus on other priorities such as R&D, it makes it much easier for unreleased products to find their way onto the Internet before they’re even announced. 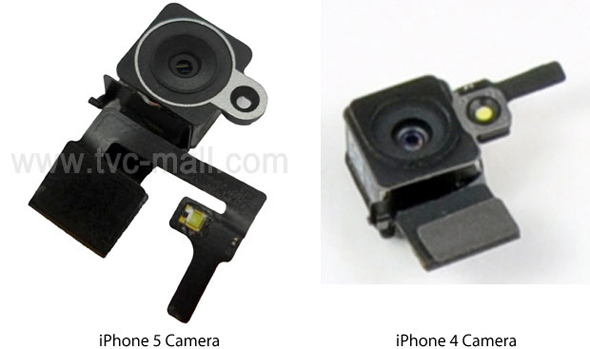 Case in point, pictures of parts from an unreleased iPhone, presumably the long-rumored iPhone 5, surfaced today. Interestingly enough, the two parts we got to look at is the battery and the camera, which look very similar to the ones found on the one-year-old iPhone 4, aside from the way they’re connected to the phone’s motherboard. Take the battery, for example (shown above). As you see, it has the same shape as the one found on the iPhone 4, yet the connector looks slightly different: while it sits vertically on the iPhone 4, it seems to stick out on the new iPhone. 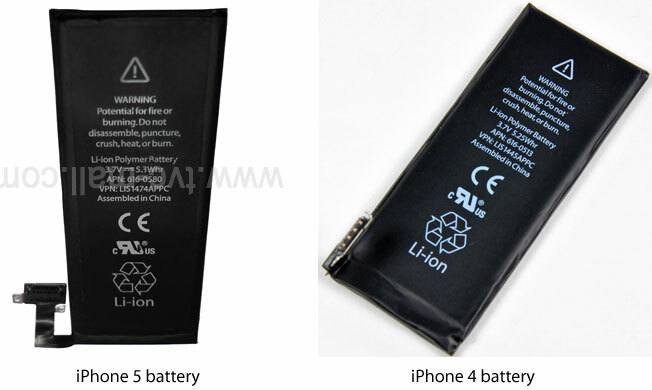 In addition, the wordings printed on the batteries aren’t the same either: the battery found on the iPhone 5 reads “5.3Whr” while the one on the iPhone 4 reads “5.25Whr”. If this isn’t enough evidence for you that the hardware is different, keep in mind that the new battery also has a new part number (616-0580), unlike the iPhone 4’s 616-0513 and 616-0521 numbers. The new iPhone’s camera shows no major differences relatively to the new one, despite previous rumors that suggested that the next iPhone would have a dedicated flash instead of embedding it into the camera module. Yet, it’s still possible that the next iPhone will have two flashes, one embedded into the camera along with a separate one. It’s also possible that the model depicted here might not be the only one that will be unveiled in just a few weeks, if reports pointing to a low-end iPhone to be sold along the iPhone 5 are correct: perhaps the iPhone 5 will have dual-LED flash but not the low-end one. It’s believed that the next iPhone will be introduced next month at an Apple media event. Until then, we’ll have to stick with what Apple’s Chinese suppliers manage to show the world.